First Aid Course Canberra. Excellent Trainers. Free First Aid Manual. Great Locations with Free Parking. Book in Today so you can Save a Life. 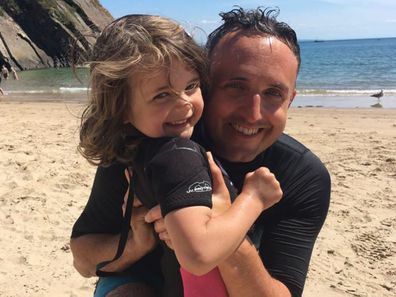 Muscle memory from a first aid course is what Scottish politician Alex Cole-Hamilton believes saved his daughter’s life. The father-of-three shared a harrowing warning to parents on Twitter about choking after his four-year-old daughter swallowed a coin. “Last night I resuscitated my four-year-old daughter, Darcy, after she swallowed a coin,” he explained in the thread. Cole-Hamilton says he had left Darcy watching YouTube on Saturday night while handing over the last details to the babysitter before heading out to meet his wife at an event. “She just made this sort of strangled cry, and I dashed through and caught her saying the words ‘I’ve swallowed a coin’. Then she stopped breathing and changed colour,” he told Inews. Not your average Saturday night. I had to partially resuscitate Darcy (4) after she swallowed a coin. Blue lighted to Sick Kids and had coin (E50 cents) removed under general anaesthetic. Staff have been wonderful and so good to Darcy. Heroes all. Continuing the Twitter thread, he explained he had to “partially resuscitate” his daughter. “When she stopped breathing, a half remembered first aid course from over 25yrs ago snapped into place- I inverted her, slapped her back with an open palm 5 times until she was sick & coin moved enough to open her air way before ambulance arrived & blue lighted us to the Sick Kids,” he wrote. This is a hard thread to write. It isn’t a political post. It’s got nothing to do with my job. But it’s important to me to share it tonight. Last night I resuscitated my 4 year old daughter, Darcy after she swallowed a coin. Darcy was raced into surgery where the coin was removed under general anaesthetic. “Staff have been wonderful and so good to Darcy. Heroes all,” Cole-Hamilton continued. Despite the scary situation, Darcy is recovering well, but the incident made a lot of people realise that they have no first-aid skills for a situation like this. “So many concerned friends who’ve phoned or visited today have said that they’d never received any training like that. So I’m going to start working with charities and first aid groups to build awareness of how easy it is to learn basic first aid. You can be that first responder,” he tweeted. Cole-Hamilton wants other parents to be able to act quickly in similar situations in future because it can mean the difference between life and death. If you would like to learn more about first aid courses across Australia, head to the St John Ambulance website for more information. In an emergency situation call 000 and follow the instructions given by a trained professional.